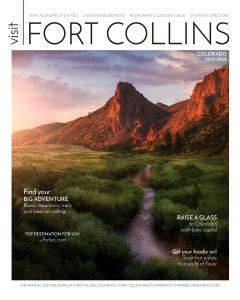 Fort Collins is home to a plethora of fantastic parks, 50 to be exact (seven community parks and 43 neighborhood parks). Here are five (plus a bonus!) that kids adore, and absolutely deserve a spot on your family’s summer bucket list. Where: Trolley depot (next to the tennis courts at the corner of South Roosevelt Avenue and West Oak Street). When: Sunday May 19, 2019, from noon to 4 pm. A 380+ band Colorado music sampler! Soapstone Prairie Natural Area is an astonishing wide-open landscape spanning nearly 19,000 acres. It is home to miles-upon-miles of trails, extensive and diverse archaeological human history and rare plant and animal life. Soapstone truly is a place to behold.